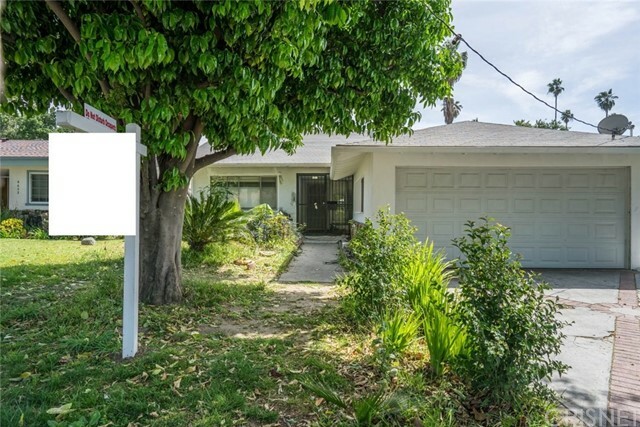 All Van Nuys homes currently listed for sale in Van Nuys as of 04/26/2019 are shown below. You can change the search criteria at any time by pressing the 'Change Search' button below. 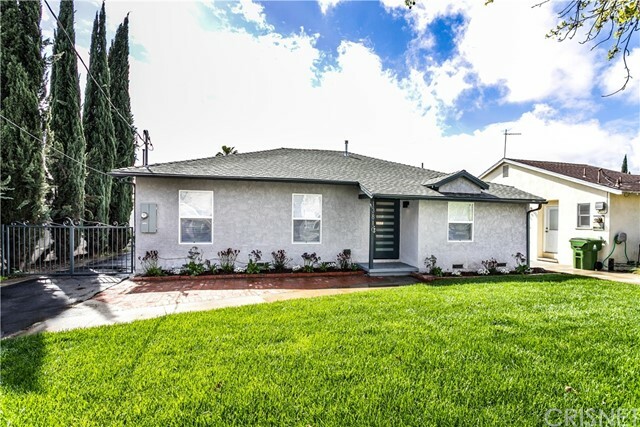 "THIS APPEALING TRADITIONAL CALIFORNIA RANCH HOME IS LOCATED ON A DELIGHTFUL TREE-LINED STREET IN DESIRABLE MIDVALE ESTATES. 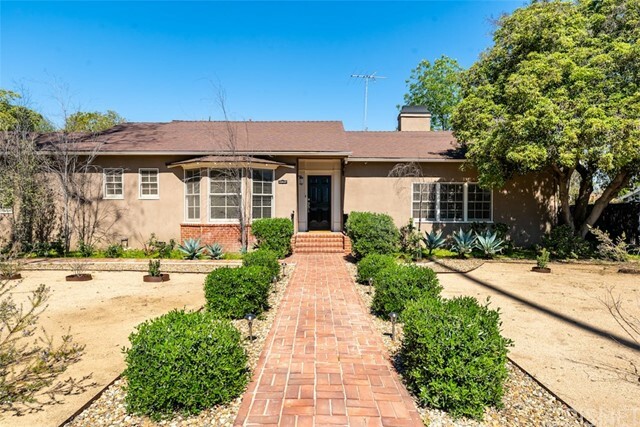 WITH REMARKABLE CURB APPEAL & MANICURED LAWN, THIS HOME CENTERS AROUND THE SPACIOUS LIVING ROOM FILLED WITH NATURAL LIGHT FROM AN ABUNDANCE OF PLANTATION SHUTTERED WINDOWS PLUS FRENCH DOORS THAT OPEN TO THE BRICK PATIO & INVITING BACK YARD. THE DINING ROOM BOASTS PLANTATION SHUTTERS & IS CONVENIENTLY LOCATED OFF THE UPDATED KITCHEN WITH ITS BREAKFAST NOOK, PICTURE WINDOW & OF COURSE ACCESS TO THE BACK YARD. THE ENSUITE MASTER INCLUDES TUB & SEPARATE SHOWER, DUAL SINKS PLUS FRENCH DOORS THAT OPEN ONTO THE PATIO. OUTDOORS, YOU WILL FIND A GREAT ENTERTAINING SPACE. THE WELL DESIGNED LANDSCAPING PROVIDES THE SETTING FOR THE DETACHED GUEST HOUSE BUILT IN 2016 COMPLETE WITH ELEGANT FULL BATH, WELL DEVISED KITCHEN, & LIVING ROOM THAT HAS ITS OWN HEATING & COOLING SYSTEM. ALL OF THIS & JUST MINUTES AWAY TO ALL THE BEST SHOPPING & ENTERTAINING VENUES THAT LA HAS TO OFFER, THE 405 & THE 101 FWYS & ORANGE BUS LINE. 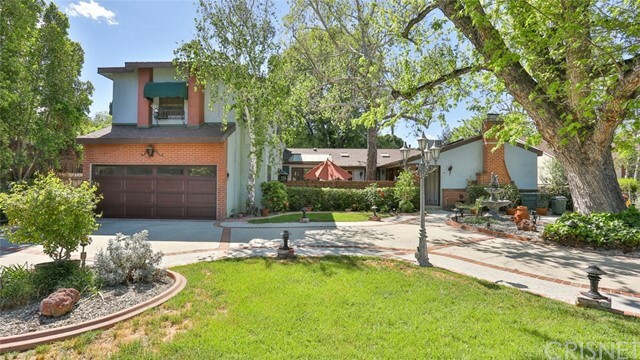 CLOSE TO LAKE BALBOA PARK WITH RUNNING/BIKE PATHS, & VAN NUYS GOLF COURSE." "ATTENTION ALL INVESTORS/DEVELOPERS & BUILDERS. 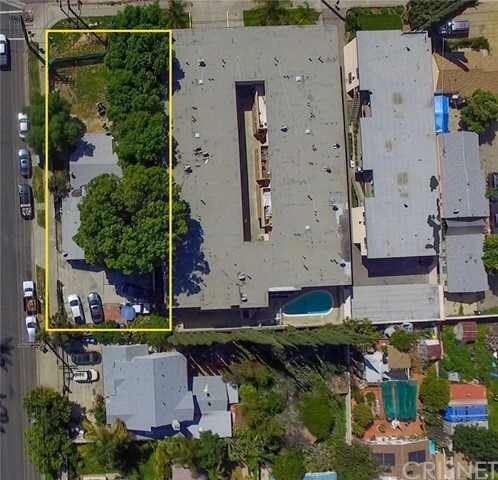 Check out this MULTI UNIT opportunity. 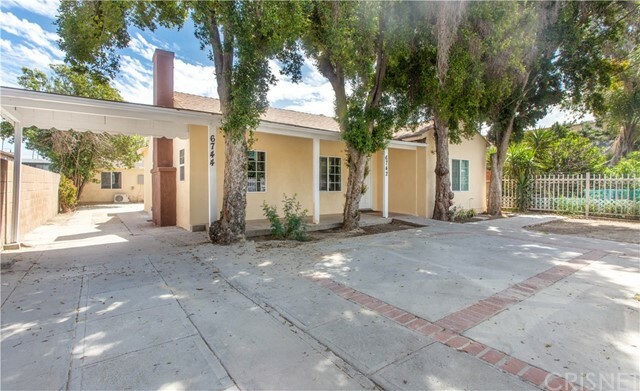 Unique location close to 405 freeway in a desirable area in Van Nuys. Tremendous potential on this lot. LAR3 zoning. Potential is unlimited. Imagine the possibilities." 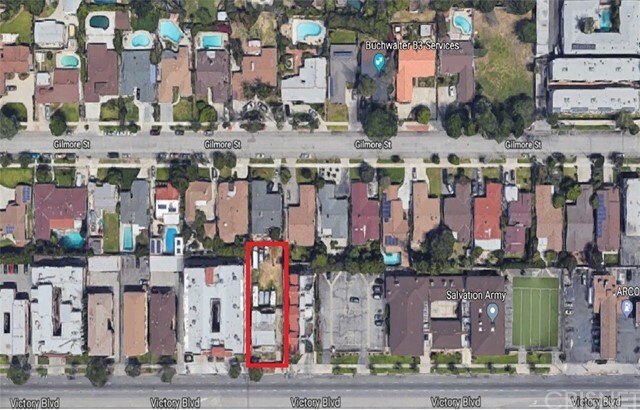 "Perfect opportunity in Van Nuys to purchase two houses on one lot each w/ their own address & utility meters.14537- Has been remodeled-14539 is a 2019 New Build.Rents for both houses will bring in approx.$5000 a month,estimated 6% cap rate.This is also a great opportunity for that buyer looking for a cash flow property as well as a property to live in.14537-Is a single story approx 1225 sq ft w/ 3 bedrooms,2 full bathrooms an open living area w/a fireplace new interior/exterior pant and new fixtures throughout. Kitchen is open and has new granite counters, Island with a cook top, new titled floor,new stainless steel appliances & new fixtures. Hall bathroom has new vanity,floor to ceiling tile w/ tiled shower/tub and new fixtures.14539- Brand new construction single story 800 sq ft w/ 2 bedrooms,2 bathrooms & 2 car attached garage.Nice open floor plan w/ family room that opens to the kitchen and dining area.Kitchen has white self closing shaker cabinets,quartz counters & stainless steel appliances.Laminate floors throughout.Bathrooms have new vanities,new quartz count tops,new tiled floors,tiled shower/tub ≠w fixtures.Both properties have laundry hook ups,central heat/AC.Front & rear yard has new sod & plants.Close to shops and restaurants." 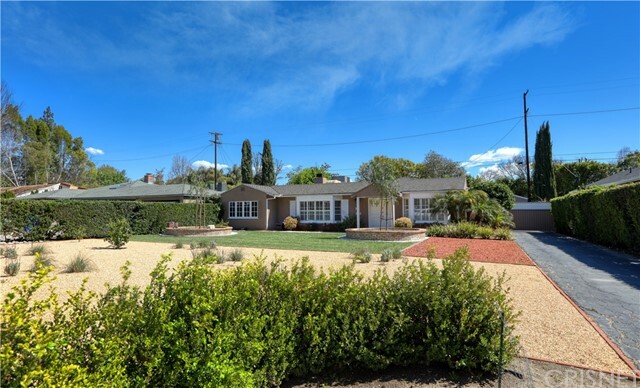 "Amazing Van Nuys property! 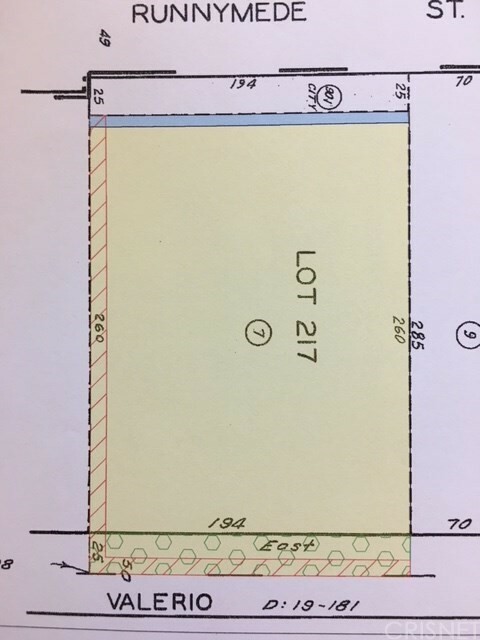 Two houses on one lot! Front house is 5 bedroom and 2 bath home. Features include: Kitchen has tile floors, quartz counter tops, recessed lighting & a subway tile back splash. Perfectly adjoined to the kitchen is the dining area. Bathrooms feature tile flooring. 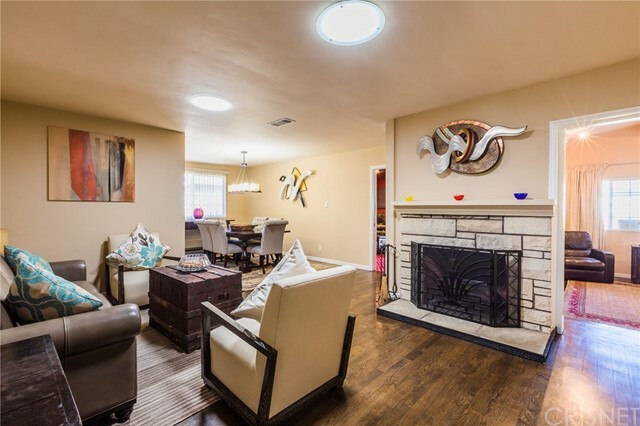 Living room features recessed lighting, tile flooring and plenty of natural lighting. 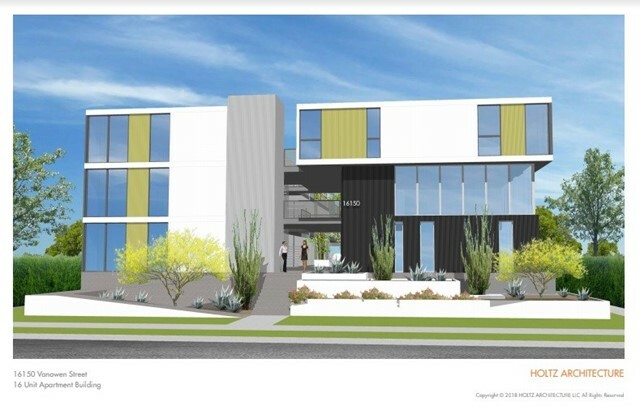 Back house is a permitted 3 bedroom and 2 bath ADU with separate address. Features include: New kitchen with recessed lighting, various cabinets for ample storage and quartz counter top & back splash. Bedroom feature plenty of natural lighting, tile floors & recessed lighting. Additional features include mini split a/c. 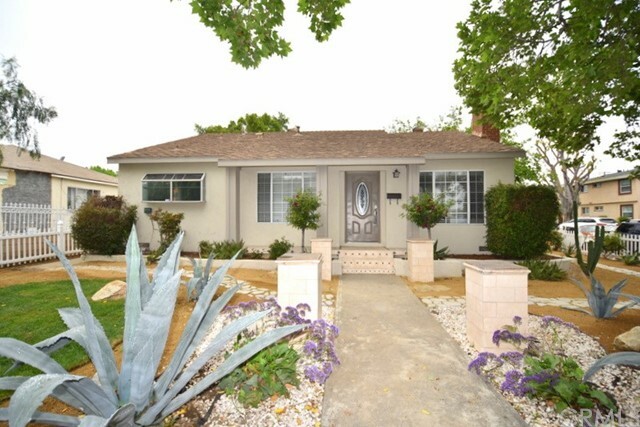 Front home has the possibility to rent for $7,112/ month & $85,344/year. Back home has the possibility to rent for $2,967/ month & $35,604/year." "This Stunning Property is highlighted by a Delightful Resortlike Backyard featuring sparkling pool, vibrant lush landscaping and 2 patio areas ideal for outdoor entertaining - Including a Newer Bathroom w/shower! 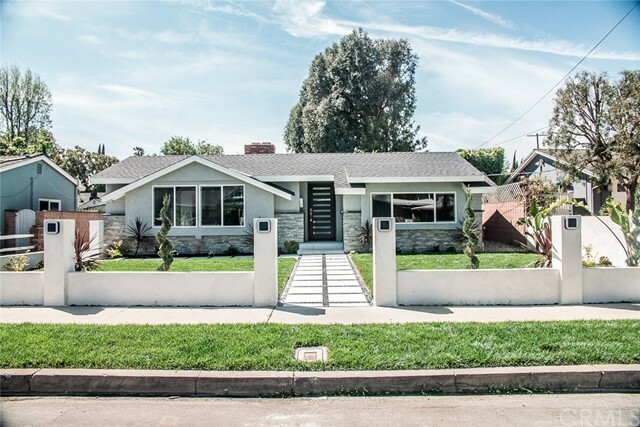 Beautifully Remodeled 3 bedroom +3.5 Bathroom + convertible den (Could easily function as 4th bedroom and provides direct access to Garage!) Updated kitchen boasts newer cabinets, granite countertops and tile floors. Spacious living/Dining room includes stunning Newer hardwood floors And Fireplace! Bathrooms are Updated and Modern! Large Laundry room is adjacent to Kitchen! 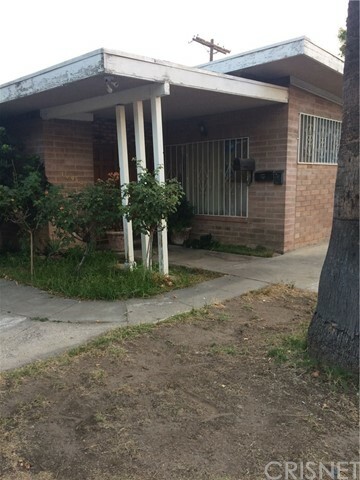 Located in a wonderful pocket of Van Nuys (Kester Ridge) with easy access to the 405 Freeway, this property is The Best Value in the Area!!" "Back on the Market. Buyer could not sell their house to remove contingency. Here is your chance to make this house your home! This beautiful, 4 bedroom, 1.75 bath home has been well maintained & is move in ready. With over 2100 sq ft of living space you will never feel cramped in this home. Upgrades include copper plumbing, hardwood floors, dual pane windows, a large master bedroom & an absolutely amazing home theater with vaulted ceilings, 80 inch screen & comfy leather stadium seating. The kitchen boasts a Subzero fridge, classic double oven & lots of counter space. The living room shows like a model & features a fireplace, dual solar tubes & sparkling hardwood floors. The master bedroom is very spacious. Off the kitchen is an indoor laundry room. The garage has been partially converted to a music room & could easily be finished off as additional living space, a rental unit or whatever suits your needs. Outside you will find a low maintenance yard, stamped concrete driveway, back patio with retractable awning and fountain. 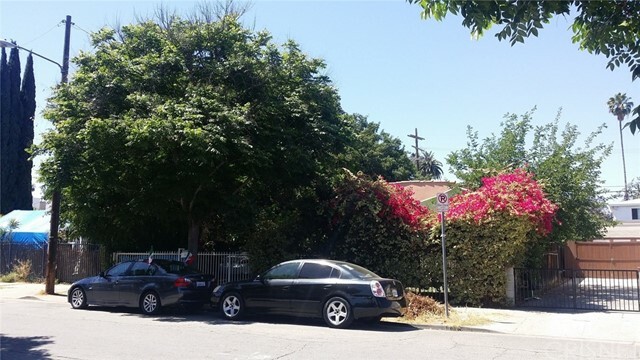 Very nice neighborhood that is close to shopping, dining and easy freeway access." "First time on the Market since 1988! 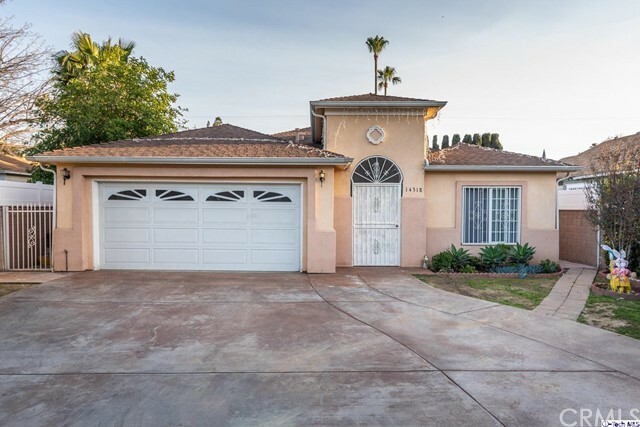 Situated in Van Nuys resides the Ideal Forever Home beautifully maintained with a Pride of Ownership. A lush green landscaped exterior welcomes you into a wonderful floor-plan with 3 bedrooms, 3 bathrooms and 2,114-SQFT. Inside features impressive wood and tile flooring with recessed lighting. Unwind in the living room where you can relax by the fireplace and enjoy the nice view of the yard. Enjoy cooking in the lovely Galley kitchen with a breakfast nook, tile counter-tops and dark wooden cabinets with Metal handle detailing. Bedrooms are spacious, well-lit and offer large closet space. This home also features an incredible bonus room with wooden paneled walls and built-ins that you can use as an office space or den, as well as a separate laundry room with easy backyard access. 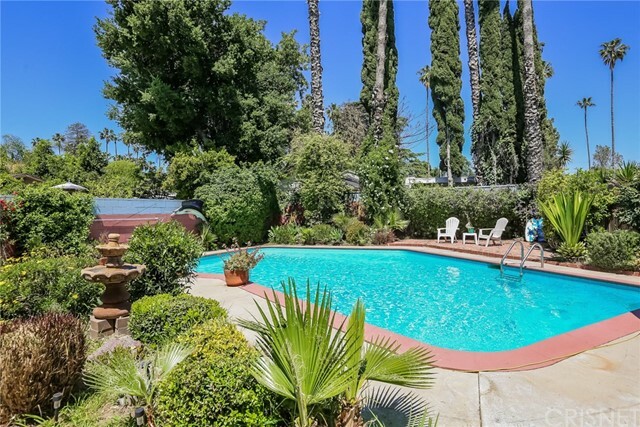 Private back yard perfect for entertaining or relaxing, tons of colorful flowers and large fruit trees. Call now and start making memories in this home!"